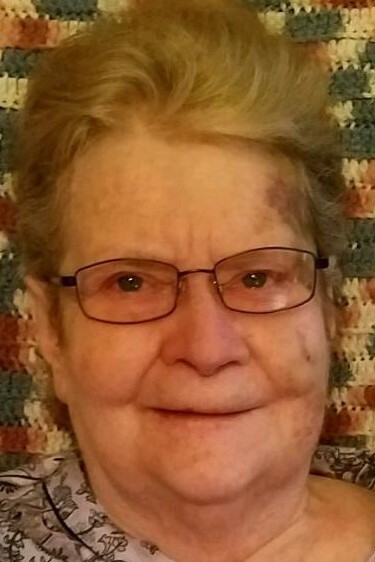 GALVA - Norma "Faye" Coad, 80, of Galva, died at 3:05 p.m., Sunday. January 27, 2019 at her home. Cremation will be accorded and a Celebration of her Life will be held at a later date. Memorials may be directed to the family for a memorial to be established. Rux Funeral Home in Galva is in charge of arrangements. She was born November 3, 1938 in Galesburg, the daughter of Phillip and Lulu Norma (Olson) Foglesong. Survivors include her two daughters, Sherry L. (John) Kelly and Janita F. Furgerson, both of Galva, four step-daughters, two step-sons, her sister, Linda Cooper of Poplar Bluff, MO, thirty-five grandchildren, several great grandchildren and several nieces and nephews. She was also preceded in death by her parents, a son, David Coad, two grandsons, Bradley O’Brien and Kenneth Coad, a granddaughter, Bobbi Jo Mullenix, two brothers, Butch Foglesong and Bob Foglesong Sr. and her special friend, Robert Trujillo. Faye had managed a motel in Moline for many years. She was a collector of Conway Twitty and Tweety Bird memorabilia. She was crafty and enjoyed doing household repairs. She also enjoyed watching Arena football, cookouts and especially spending time with her family. Faye loved drag racing and was a part of the Ozark Mountain Super Shifters family.